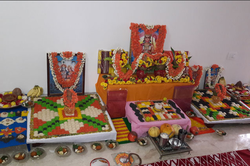 Pandit For Puja.in - Service Provider of durga havan, shri maha ganapathi pooja & nakshthra shanti pooja in Bengaluru, Karnataka. 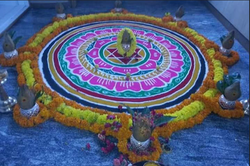 Devi Lakshmi is the Goddess of Wealth and Prosperity, a well loved goddess whose image can be found in almost every Hindu home. She manefests as the energy of Lord Narayan and in one Puranic episode of her many manefestations, she is said to have emerged during the churning of the ocean of milk by the Devas and the Danavas (Bhagavat Puran). 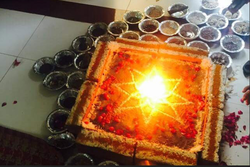 Nakshatra shanti puja is performed every year on the birth nakshtra to give protection and better results throughout the year. 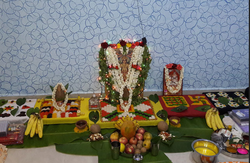 Nakshatra puja comprises Ayushya homa (for longevity), Mrityunjaya homa (for good health and to get rid of chronic ailments), Navagraha Dosha/graha shanti puja, Sapta Chiranjeevi Puja/homa. Chiranjeevi means the person who never dies. 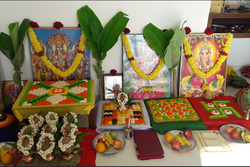 The Satyanarayan Puja, or Styanarayan Vrata as it is commonly known, is an auspicious Hindu religious observance.A ritual that is performed by people on several major occasions like housewarming, marraige etc. How the planets are placed in ones horoscope at the time of birth determines the good and bad effects of ones life and the time of their effect. In every horoscope some planets are well placed and some are badly placed.